Review: A psychopath only known as Buffalo Bill is murdering people across the Midwest. The F.B.I. send in Agent Clarice Starling to interview an insane prisoner, Dr. Hannibal Lecter who may provide clues to the killer’s actions. One of the best thrillers ever to have been made. Even though this is a thriller it is very depressing and brutal. No one under the age of 18 should watch this. This is one of Anthony Hopkin’s best films. 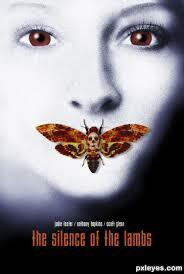 It is based on a book by Thomas Harris. This is one of Barry Norman’s 100 greatest films of all time. Jeremy Irons and Sean Connery were asked to play the role of Dr. Hannibal Lecter but both turned the part down. At the Academy Awards in 1992 this won 5 Oscars. They were for Best Picture, Best Actor in a Leading Role (Anthony Hopkins), Best Actress in a Leading Role (Jodie Foster), Best Director and Best Writing, Screenplay Based on Material Previously Produced or Published. At the Golden Awards also the same year Jodie Foster won for Best Performance by an Actress in a Motion Picture – Drama. At the Bafta Awards it won for Best Actor (Anthony Hopkins) and Best Actress (Jodie Foster). One film critic wrote about this film “As Lecter, Anthony Hopkins gives an outstanding performance — eery, manacing, creepy, believable”.